Ray’s Truck Service provides heavy equipment and machinery hauling services throughout York County and Southern Maine. We are honored to be the “go to” towing company for many national companies. We offer scheduled and immediate hauling of all heavy cargo including heavy equipment hauling and heavy load hauling. Contact our 24hr dispatch center now at 207-282-0059 to get the Ray’s Truck Service Team working for you. Our fast and affordable services provide a virtual transportation department for many clients saving them time and money. We can provide emergency or scheduled equipment hauling anytime – 24/7/365. 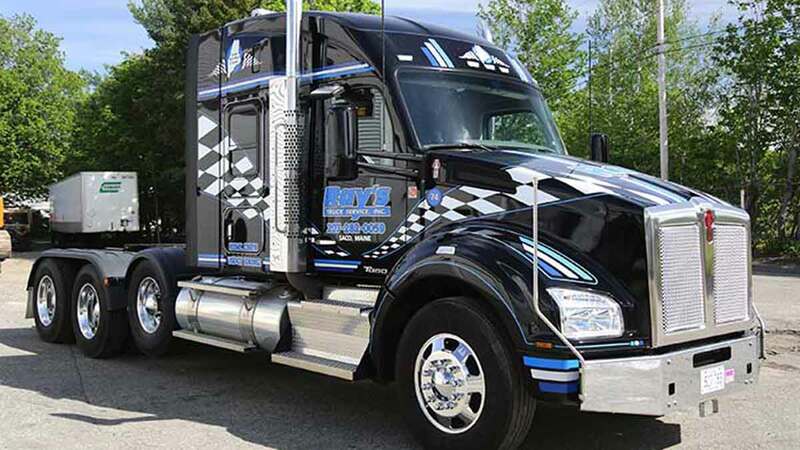 Contact our 24hr dispatch center now at 207-282-0059 to get the Ray’s Truck Service team working for you. Ray’s Truck Service is your one-stop source for safe and permitted oversized load hauling in the area. 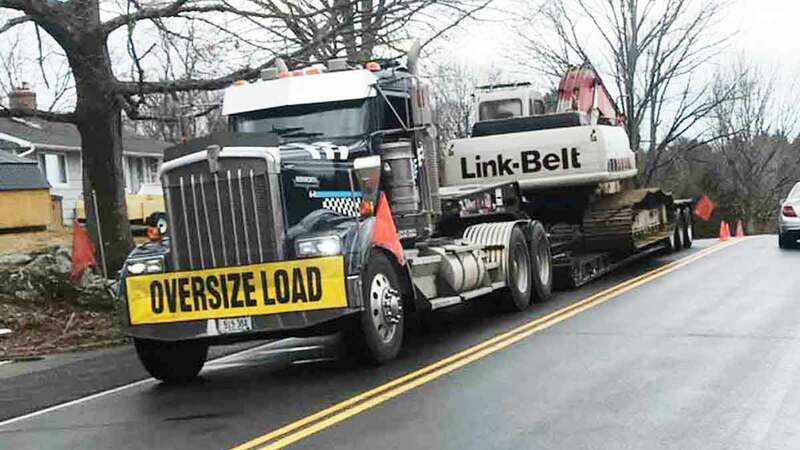 Our experienced office staff will handle the entire permitting process ensuring uninterrupted delivery of your oversized load. 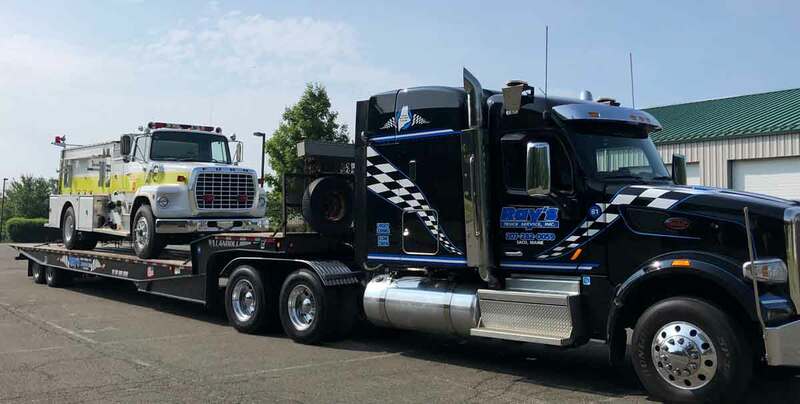 The Ray’s Truck Service Team has experience in hauling all type of oversized loads and can ensure the completion of your haul as quickly as safety allows. Call 207-282-0059 to arrange hauling of your oversize load. Ray’s Truck Service provides shipping container loading and hauling. Our team of operators are trained and highly experienced in loading and hauling all sizes of shipping and freight containers. You can rest assured that your shipping container or heavy load will be safely transported to its final destination. Call our dispatch center now at 573-449-3336. I could not be happier with the service and professionalism from the first phone call the the end of the service call. Thank you all! Prompt service, nice equipment, well educated mechanics and fair priced. Outstanding service! Fast & friendly. Thank you for helping us out of a bad situation!